6:30 pm to 9:30 p.m. 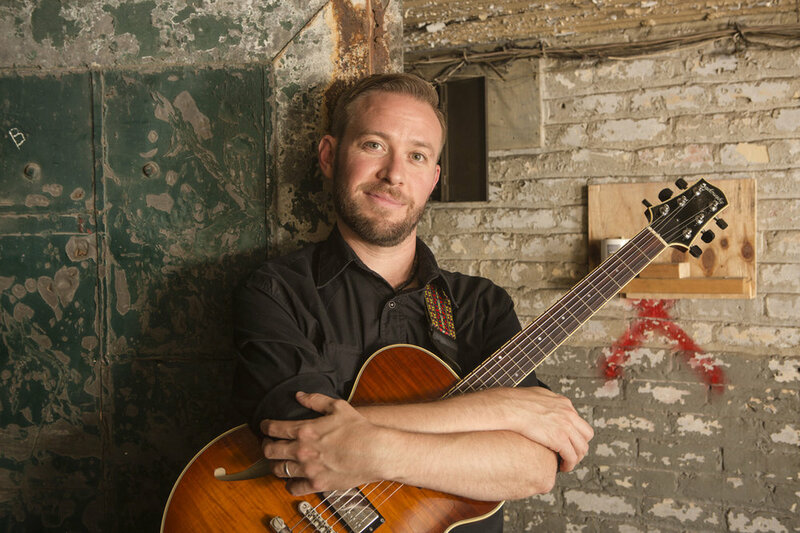 Since moving to Minneapolis in 2005, Zacc Harris has gained a reputation as one of the area's top guitarists, being named 2017 Twin Cities Best Jazz Artist by the City Pages. He performs in a host of creative projects including Atlantis Quartet, winner of the 2015 McKnight Fellowship and named 2011 Best Jazz Artist, as well as the Zacc Harris Group, American Reverie, and Zacc Harris Trio. Harris has toured as leader and sideman throughout the US and UK, including a 2016 run with Zacc Harris Group at London's famed Ronnie Scott's Jazz Club. Jazz Improv Magazine says, "Harris delivers a sound that is lucid, clear...providing rich-sounding accompaniment, and well-crafted solos" while Cadence Magazine calls some of Harris' work on Atlantis Quartet's most recent album "worthy of John McLaughlin." MPR News states, "Harris makes his own mark on standards with enough new hooks to keep jazz alive." In 2012, Harris released his first album as leader, THE GARDEN, on Shifting Paradigm Records. City Pages writer Rick Mason says, "The Garden showcases Harris's compositions, which adeptly and compellingly link the past and future of jazz, and guitar work, which is consistently articulate with an enticing fluidity seemingly influenced by the likes of Wes Montgomery and Pat Metheny." The American Composers Forum chose Harris for one of its three Minnesota Emerging Composers Awards in 2016, to write and record a second album with this group in 2017. Zacc is also a busy sideman, having performed and recorded with countless artists, including Debbie Duncan, Bruce Henry, Babatunde Lea, Eric Gravatt, Ben Wendel, Michael Janisch, and Nancy Harms. Currently, he plays with Jt Bates' Grain Trio, Lars Larson's Mancrush, Cory Healey's Beautiful Sunshine Band, and Adam Meckler Quintet. A graduate of Southern Illinois University, Zacc has studied privately with Adam Rogers, Jonathan Kreisberg, Gilad Hekselman, Nir Felder, Miles Okazaki, and Fareed Haque. Zacc has taught privately for the past 18 years and is currently adjunct faculty in the music department at Hamline University in St. Paul, MN and Carleton College in Northfield, MN.